The Presidency said Jonathan's administration was the most tragic in the history of Nigeria. 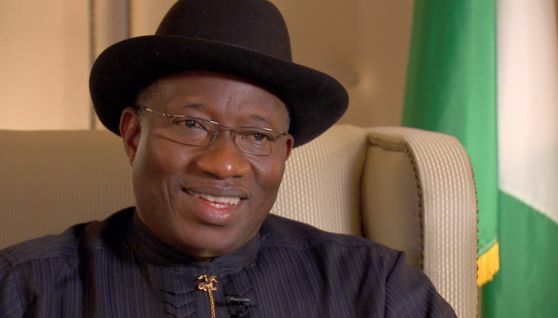 The Presidency has reminded former president Goodluck Jonathan that he handed an "economy ravaged by years of mismanagement and corruption" to President Muhammadu Buhari. A statement issued on Monday, August 14, by Buhari's spokesman, Garba Shehu, said Jonathan's government was the "most monumental and tragic economic mismanagement recorded in our national history." Shehu stated this in reaction to a statement credited to Jonathan that he handed a robustly healthy economy to Buhari. Excellency Jonathan, this is the economy you left behind, in case you have forgotten: With due respects to the former President Dr. Goodluck Jonathan, these are the facts about the economy you left behind, in case you have forgotten. It is understandable that Dr. Jonathan kept his comments short, because a cursory look at any sector clearly indicated that he and his Government presided over the most monumental and tragic economic mismanagement recorded in our national history. Meanwhile, the acquisition by public officers and their cohorts of private jets, luxury yachts and the accumulation of expensive property portfolios world-wide continued unabated. Indeed the President once celebrated having the largest number of private jets, whilst our youth languished without jobs, our fields stood idle and our factories began the lay off of workers. Government simply reticulated oil revenue through personal spending by corrupt leaders, wasteful expenses and salaries. This was done rather than investing in what would grow the economy. Economies grow due to capital investment in assets like seaports, airports, power plants, railways, roads and housing. Nigeria can not record a single major infrastructural project in the last 10 years. In short the money was mismanaged. Such was the looting that even the goose that was laying the golden egg was being systematically starved. The direct contractual costs of oil produced , in the form of cash calls, remained unpaid. The incoming, President Buhari’s welcome from the oil majors included demand for US$6Bn owed by Nigeria for oil that had already been sold or stolen. At the inception of the current administration, 21 States were unable to meet their salary bills and the specter of workers arrears had commenced. The PDP solution was the raid the Ecological Fund and selectively grant N2Bn each to the PDP States. It was only aggressive borrowing by the Ministry of Finance under Dr. Okonjo- Iweala that prevented Federal Government from also owing salaries. The economic wisdom of borrowing to pay recurrent bills is a questionable one, particularly as those paid would have included over 45,000 that have subsequently been removed by the Buhari led administration as ghost workers. It also included the lavish costs of chartering private jets, first class travel and other wasteful acts that have been eliminated under this administration. In summary Nigeria earned a lot of money when oil prices were high but there is nothing to show for it. Now oil prices have fallen we are suffering. 7. Focus on key sectors (apart from oil) that can create jobs and or generate revenue such as Agriculture, Solid Minerals, and Manufacturing. President Muhammadu Buhari has a positive and prosperous vision for Nigeria. A nation in which the natural talent and hard work of the people is being supported by an enabling environment for infrastructural development and policy reforms that will develop a firm future for our nation. Nigerians are looking forward and the PDP’s lurking in the economic rear view mirror only underscores the resolve of Nigerians, that as far as the economy is concerned it is "never again."